Welcome to Day #3 of Chocolate and Peru Theme Week. 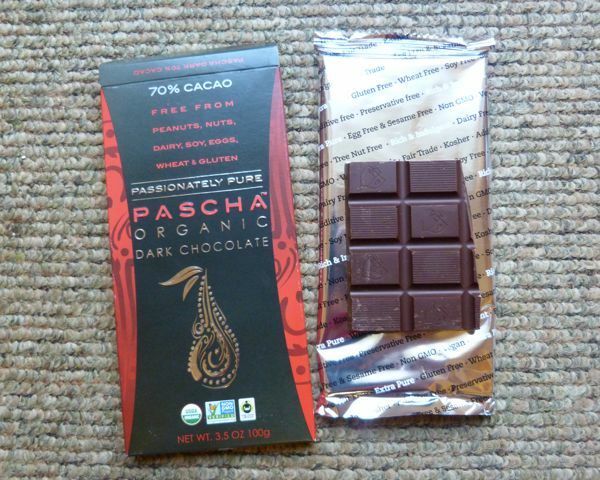 Today's organic 70% cacao bar from Pascha Chocolate Company (Toronto) had uniform sweet floral, green, and marshmallow flavor notes. 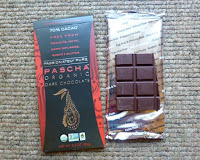 This bar was made "bean-to-bar, near the source" with fine aroma cocoa beans from Peru. Ingredients: organic cocoa mass, organic sugar, organic cocoa butter and organic vanilla. The team behind Pascha is passionate about "pure" ingredients (without additives or allergens) and taste. And those who have special dietary needs or preferences can be grateful for their vigilance in this area. Pascha bars are made in a dedicated allergen free facility, in part due to founder, Simon Lester's, own experience of having family members with food allergies/sensitivities. The company is dedicated to "full ingredient traceability." 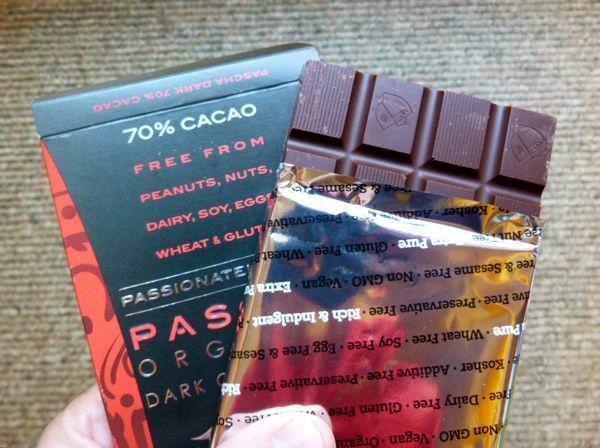 This bar was fair trade certified, vegan, "free from peanuts, nuts, dairy, soy, eggs, wheat and gluten," and contained no genetically modified ingredients.